Do you have a recent professional headshot to showcase the very best you? 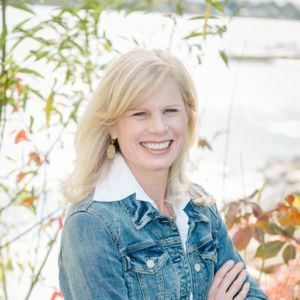 This month, in addition to featuring Mary Burke, Building Brave Founder & CEO, presenting 'Building Brave: The Confidence To Be You', we will be offering an opportunity for professional headshot photos immediately following the speaker. Photos will be free to members, and $15 for non-members. Please select the photo option during online registration for this event. Women in the STEM fields have to constantly prove they belong. It frequently means overcoming questions of their abilities and perhaps even self-doubt. It can be a tough environment for a woman to realize her true potential. In Building Brave: The Confidence To Be You, Mary Burke shares how losing a very public race for Governor of Wisconsin taught her to be her boldest, most confident, and authentic self. Mary learned how to overcome self-doubt, let go of perfection, block out the never-ending criticism, appear like she had it all under control, and ultimately, to not let setbacks define her. Mary has used that experience to launch Building Brave, an engaging and innovative online community to inspire, connect and empower women to be confident in being themselves. Mary Burke BIO Mary is a businesswomen, philanthropist and social entrepreneur. She is CEO and Founder of Building Brave, an organization whose mission is for women to discover their most confident selves. She is on the Board of the Burke Foundation, Madison Board of Education and co-founded the AVID/TOPS college preparation program which supports over 1,000 students as they aspire to earn a college degree. In 2014, she was the first woman in Wisconsin history to win the nomination for Governor for a major party. She has held leadership positions in private, public and non-profit sectors as Vice President of Finance for Intrepid Corporation, Director of European Operations for Trek Bicycle, and Wisconsin’s Secretary of Commerce. Mary earned her BS in Business Administration at Georgetown University and her MBA from Harvard University.